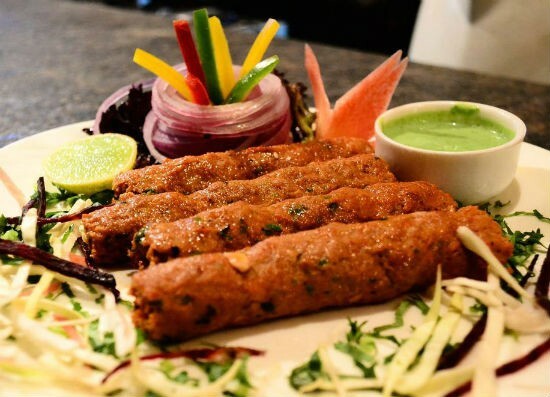 Mutton Seekh Kebab is a traditional Mughlai dish served as a starter to a meal. 1. Combine the first 10 ingredients in a bowl and knead well until sticky and pliable. 2. Cover and keep it in the fridge for an hour. 3. Remove and using wet hands make medium balls of the mixture. 4. Then insert a skewer into the balls and gently wrap the mixture around it, flattening along the length. 5. Place the skewers into a preheated oven at 180c, rotating from time to time. 6. Baste them with a little butter and cook until golden. 7. Remove when a golden brown layer forms on top and transfer to a plate. 8. Garnish with onion rings, lime wedges and coriander leaves. 9. Serve hot with mint chutney. 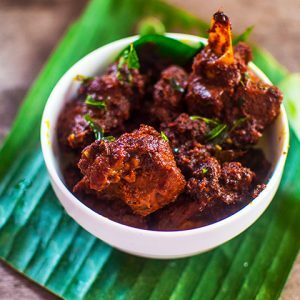 Feel free to comment or share your thoughts on this Mutton Seekh Kebab Recipe from Awesome Cuisine.